Looking for a quiet home base in the heart of the Gold Coast? Then look no further. This stunning greystone duplex is nestled on the quiet east end of Elm Street, within close proximity to all the city has to offer. The unit has also been updated with all of the highest quality finishes, appliances, and new windows. I love the open floor plan between the white kitchen and the living room, which overlooks tree-lined Elm Street. 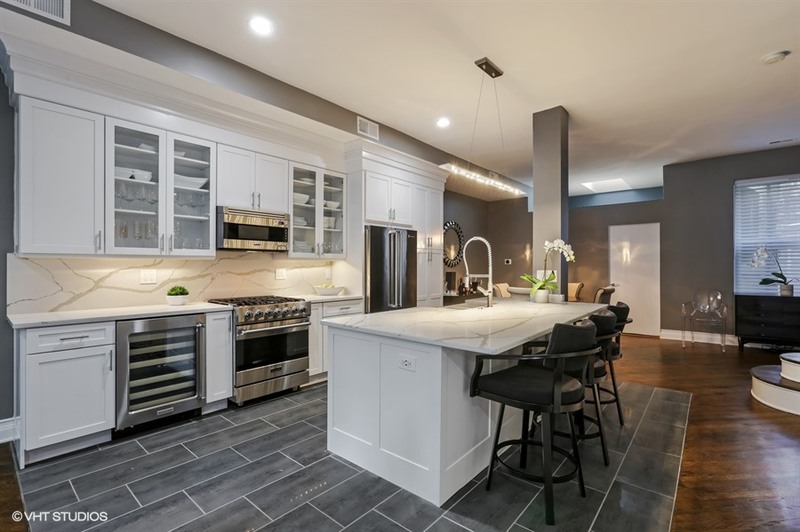 Featuring Viking appliances, a beautiful large veined quartz island and backsplash, the kitchen is truly the heart of the home in all senses. The openness to the living room provides an open, airy and spacious feel to both rooms. I also love the glass detailing on the grand staircase--the look is classic enough to go either modern or traditional in feel, and really such a special detail. Upstairs, the giant master suite features a beautiful gas fireplace, and master bathroom with a dual vanity and large glass shower. The second bedroom offers ample closet space and an ensuite bathroom. And, I absolutely love the outdoor space! How perfect is the setup for entertaining? You can truly forget about the hustle and bustle. Other special features include Hunter Douglas Silhouette Shades throughout the home, multiple skylines throughout the home that let in tons of natural light, and a full laundry room with new washer and dryer. This home is a true Chicago gem. Built in 1911 by architects Mundie & Jensen, the property was originally commissioned by Cyrus Bentley, an acclaimed lawyer of the time. Impeccably maintained, you truly feel the history of the era through the beautifully updated interior. To celebrate its downtown location, this duplex penthouse features a 1600 square foot private rooftop deck with panoramic city views, and Trex decking for easy maintenance. 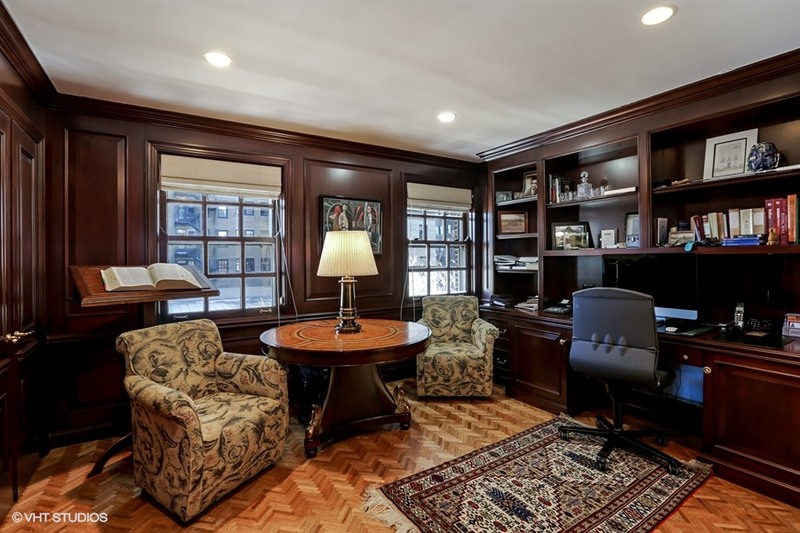 One of my favorite aspects of this home is its historic merit coupled with its modern amenities. When first walking into the home you are greeted by a dramatic entry way featuring a beautiful wood staircase. Next you find a large living room with great natural light, perfect for entertaining guests at the wet bar and around the wood burning fireplace. The second floor features all three bedrooms, including the master suite complete with a spa-like master bathroom--jacuzzi tub, steam shower, heated floors, double vanity and built-in make up area!